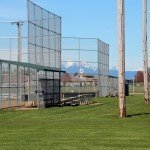 Whether you are walking through Berthusen Park, watching fish in Fish Trap Creek at City Park, or participating in a sporting event at Bender Fields, the staff of the Lynden Parks Department strives daily to provide our residents the highest quality outdoor venues in the area. Mission Statement: The Parks Department shall provide safe, beautiful and quiet places for family picnics and recreation, including areas for recreation for youth sports, adult leagues, and tournaments. Activities for youth are a focal point, to provide the city’s youth an opportunity for positive recreation. Services Provided: Shelters and picnic areas are provided at City Park, Greenfield Village, Bender Fields and Berthusen Park. 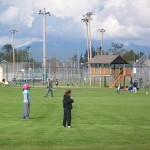 Playfields are located at Bender Fields. Playground equipment is available at most locations. 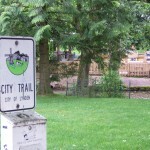 The beginning of the City wide Trail system run’s from City Park thru Bender Fields. 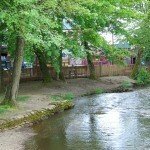 Lynden City Parks information: Centennial Park, City Park, Bender Fields, Berthusen Park, Greenfield Village, Patterson Park, Northwood Lynden Jim Park, Jim Kaemingk Sr Trail. Centennial Park is located downtown Lynden at the corner of 4th & Grover Streets. 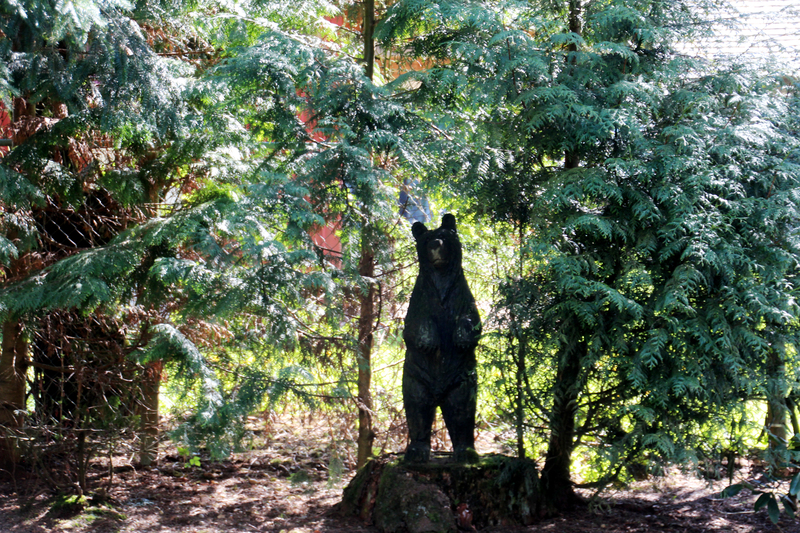 This park features a lovely Memorial Honoring North Whatcom County Veterans. The Lynden Farmers Market is located at Centennial Park Saturdays 10am-2pm June-September. 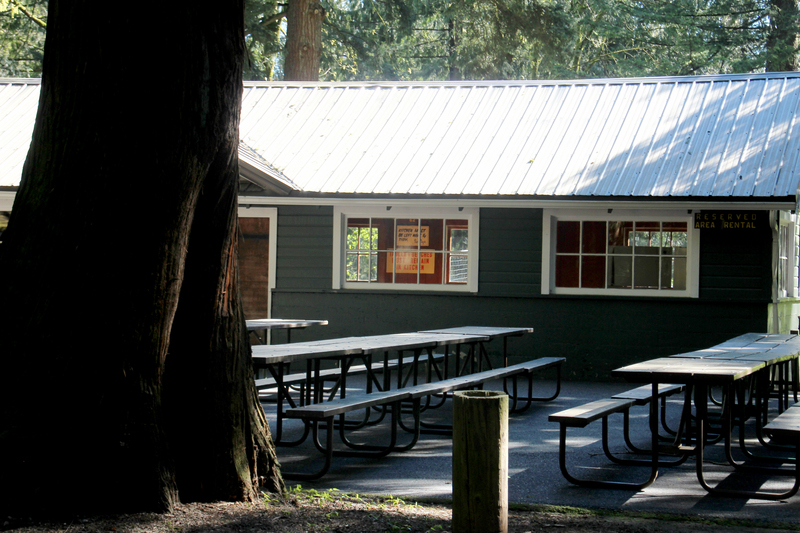 There are Picnic Tables, Seating Benches available, as well as nearby Public Restrooms, the Lynden Library, Community Center and Public Transportation. 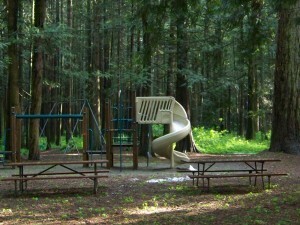 City Park is also known as Million Smiles Playground Park. 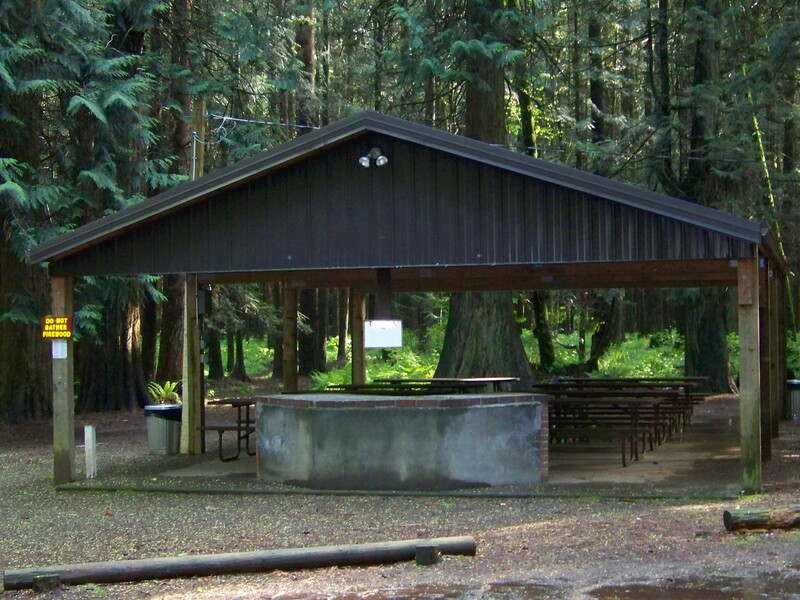 City Park has been a place of enjoyment for decades, located north of downtown Lynden; generations after generations have been hiking in amongst the tall conifer trees, skipping rocks in Fishtrap Creek, picnicking with friends and family. Lynden City Park playgrounds have been fond childhood memories of those who grew up in the area, after so many years of wear and tear the community joined together in the spring of 2006 to build a new playground “Million Smiles”. This playground was designed, built, and funded by the hundreds of Community Volunteers, in a matter of 9 days. 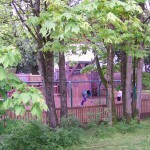 The playground features a tot lot, climbing wall, swings, jungle gym, a castle maze, and a 35ft.tall tree house with a slide. Many children have left their handprints in the playground and families and business left their names etched into a picket fence marking a memory of fun for generations to come. 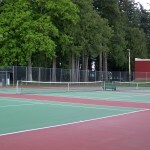 Other Park amenities include 4 lighted Tennis Courts, A Pickleball Court, A Basketball Court, the Begining of the Jim Kaemingk Sr. City Trail, Fish Trap Creek, Group Shelters, and multiple picnic tables throughout the park for visitors to enjoy! 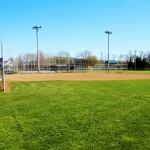 Bender Family Recreational Park (Bender Fields) is a 56 acre ball field complex featuring 21 acres of open space, soccer fields, and lacrosse field, 35 acres of softball, and youth baseball fields. 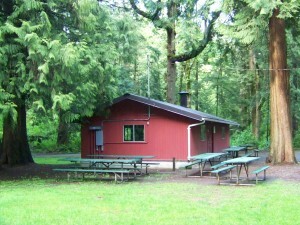 (Contact the Park office 360-354-6717 for field use permission and field availability). This park comes alive mid March and doesn’t quiet down until late October. The Jim Kaemingk Sr. City Trail meanders through the complex, beginning at Bender Rd to Aaron Dr. 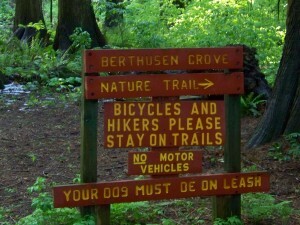 There is a 1 acre fenced enclosed “Off Leash” Dog Park in the southeast corner of the complex. 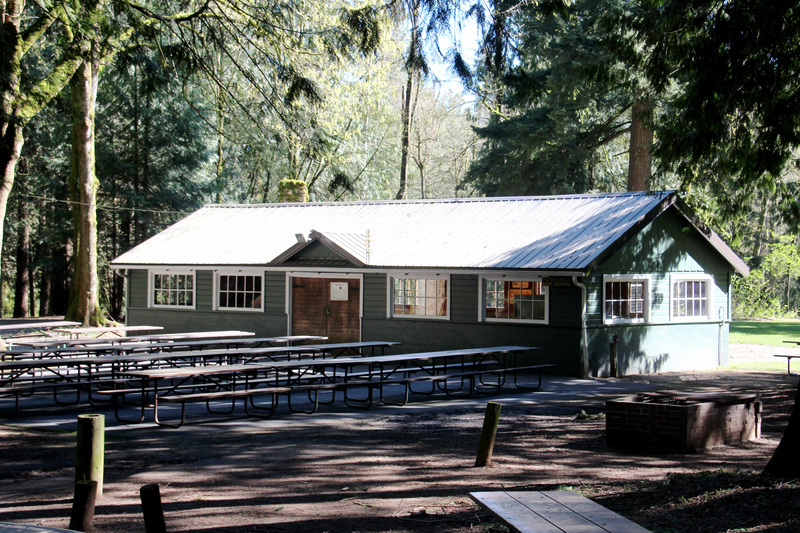 Also available at Bender Fields is Picnic Shelter, Large Indoor Kitchen Facility, Picnic Tables, Bocci Ball Court, Large Playground, Concessions, and Restroom Facilities. 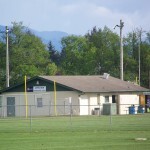 Bender Fields is the location of the Lynden Parks Department Office and Park Maintenance Shop. *No Bicycles Allowed inside the Fenced Ball Fields (fields1-4). *No Alcoholic Beverages on Park Property (including parking lot). *No Parking along Church/Park Fire Lanes. *No Climbing on Goals, Backstops, or Fences. Welcome to the farm homesteaded in 1883 by Hans Berthusen and cherished by Hans and his wife Lida Hawley-Berthusen. 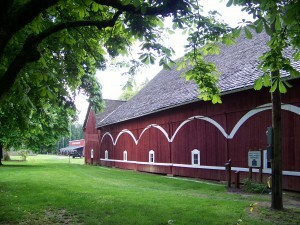 Their barn and privy, (listed on the Register of Historic Places), were built from trees grown on the farm. Hans and Lida, with help from their lawyer and banker, prepared a will so that following their deaths in 1943 and 1944 their entire 236 acres were given to the people of the City of Lynden to enjoy and preserve. 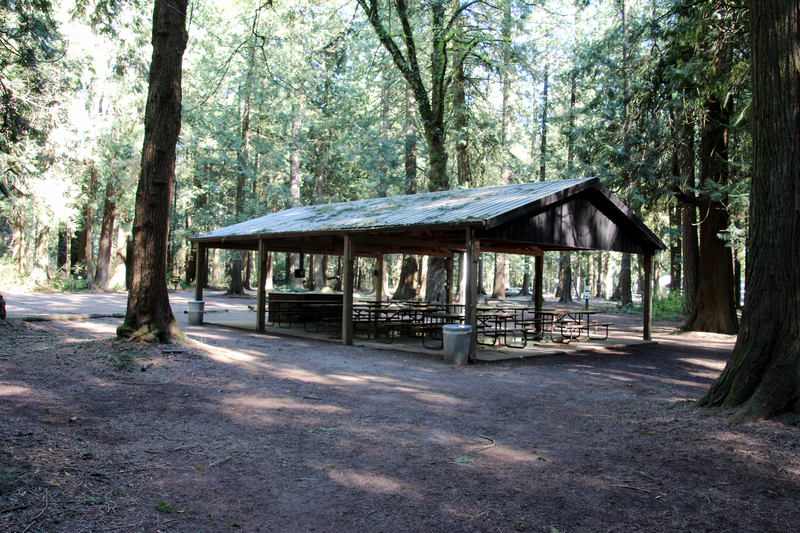 Berthusen Park provides picnic areas, group shelters, playground activities, old growth forest for hiking and educational purposes, Antique Tractor Club displays, Historic Barn with equipment on display, Lynden RC Model Airplane Flying Club, Lynden Shotgun Club, Boy Scout Troop 28 Cabin, Bertrand Creek, and a quiet country setting to enjoy it in. To promote, enhance, and protect the historic, environmental, and educational opportunities for the community in a rustic natural setting of the park entrusted to the City of Lynden. 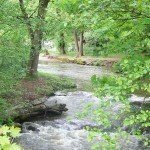 To provide a beautiful, clean, safe and pleasant environment for the public to use and enjoy. Puget Sound Antique Tractor & Machine Assoc. Greenfield Park is a 2 acre neighborhood park that offers a large open play field, covered shelter, playground, and basketball hoop. Welcome to Northwood Lynden Jim Park! 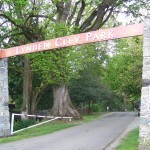 One might ask who is Lynden Jim and why would the City Name this park in honor of this man? As the Chief of the Nooksacks, Lynden Jim greeted and welcomed the early pioneer settlers to Lynden. He had a wealth of knowledge of the territory which proved to be very valuable to the early settlers. Lynden Jim controlled the fisheries on the Fishtrap Creek. He was known by the pioneers as an honest, giving man with a great sense of humor. 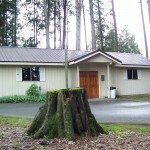 The Lynden community was very important to Lynden Jim, he maintained friendly relations with all of his neighbors. Lynden Jim enjoyed bringing together the Nooksacks and the early settlers for large potlatches/gatherings, he provided gifts of dried salmon, meats, potatoes and dried berries. Education and Christian beliefs were very important to Lynden Jim, he wanted his people/tribe to be well educated, so he dedicated 25acres of his land on Stickney Island Rd. for a school to the Methodist Women’s Home Missionary Society to help educate the young Nooksacks along with the children of the pioneers. Because of Lynden Jim’s generosity to the greater Community and his vision for education, this park was dedicated in his honor. Northwood Lynden Jim Park is a reflection of a great man in Lynden’s history Chief Jim Yelokanum “Lynden Jim”. You will find this park nestled between the backyards of two neighborhoods of Bluestem St. and Littlefield Ct. Where children and families have a large green space to gather. Have a picnic, play at the playground. Have a pick-up game of basketball, pickle ball, backyard football, and whiffle ball. You can stroll the Jim Kaemingk Sr. 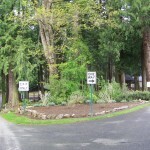 Trail that meanders through the park, connecting the surrounding neighborhoods to the Lynden Middle School and the Lynden Community by means of the regional Trail System. 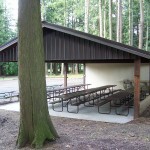 Park Amenities include: A Playground, Paved Sports Court, Picnic Tables, Bench Seating, Green Space, Jim Kaemingk Sr. Trail. 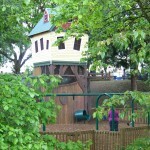 Patterson Park is named after Colonel James Alexander Patterson, the first white settler in Lynden. Patterson had built a cabin in 1860, (was located just south of 6th and Front streets) Patterson and his Native American wife had lived there for most of the decade. At some point in the late 1860s his wife left him, and Patterson began to search for a foster home for his two young daughters. Patterson frequently visited Holden and Phoebe Judson’s home on Whidbey Island. Patterson made an offer to the Judson’s that he would swap his home and land in what was then known among the settlers as “Nooksack” if the Judson’s would care for his two young daughters, Dollie and Nellie. The Judson’s agreed, and Patterson executed a quitclaim deed to his land in favor of Phoebe Judson in March 1870. “a home that should be built by a mountain stream that flowed to the Pacific…and nothing should obstruct our view of the beautiful, snow-capped mountains”. 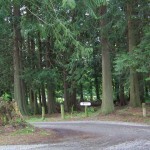 You too can enjoy this property as Colonel Patterson and the Judson’s did decades ago. With pristine view of Mt. Baker and the Twin Sister Mountains, while playing the 9 hole Disc Golf Course, while enjoying a picnic lunch or walking the paths of Patterson Park. Patterson Park is approx. 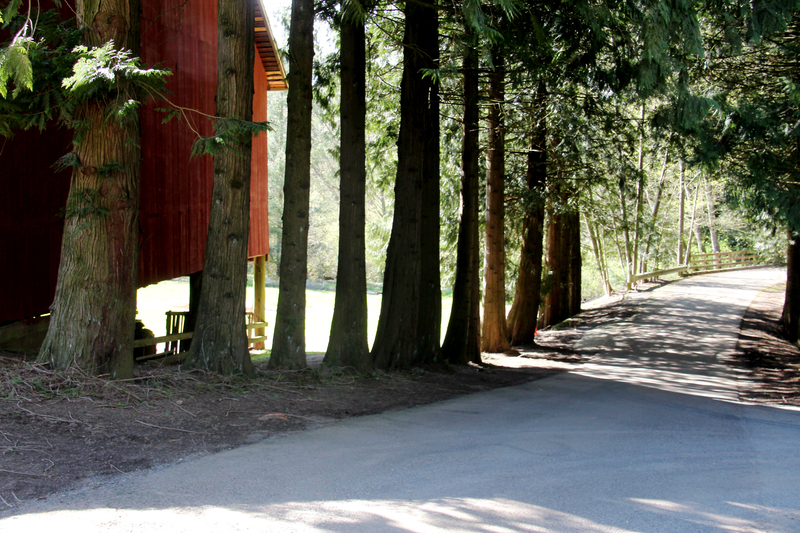 2 acres, additional 2 acres of the disc golf course property was purchased by the Lynden Regional Park and Recreation District. 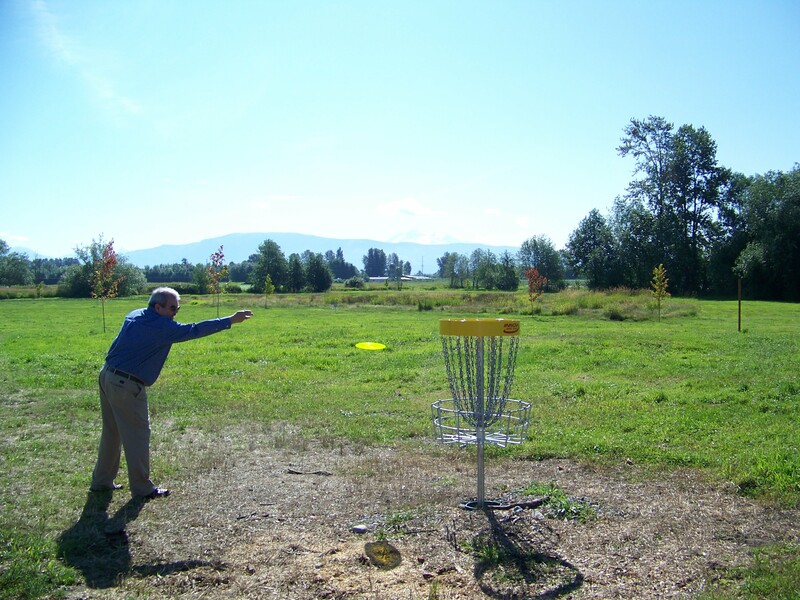 Many Lynden Community Members volunteered to design and install the disc golf course. 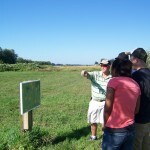 Future development of a Nature Trail, Wildlife Viewing Platform and Picnic Shelters are envisioned to be developed. 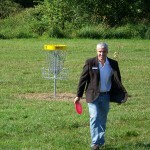 The Disc Golf Course will be closed during the winter months. 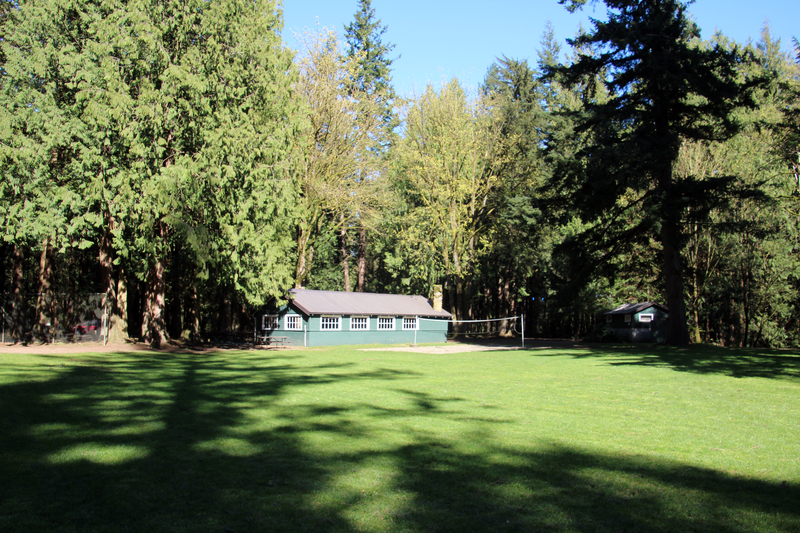 Park amenities include, a Playground, Paved & Gravel Parking lot, Gravel Paths, and a Disc Golf Course.